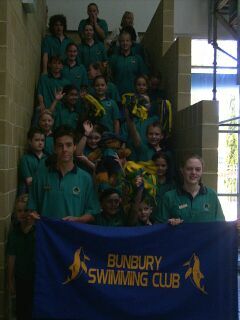 38 swimmers swam superbly for Bunbury to gain fourth place in the C-Grade Premiership at Challenge Stadium yesterday. 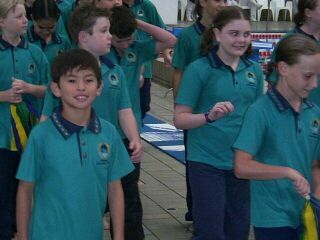 Swimming from lane 4 BSC swimmers recorded more than 20 PB's to finish on 260 points. Sporting the new club swimming cap, the Premierships was a superb curtain-raiser to Country Pennants in 2 weeks, where BSC swimmers will strive to new heights.